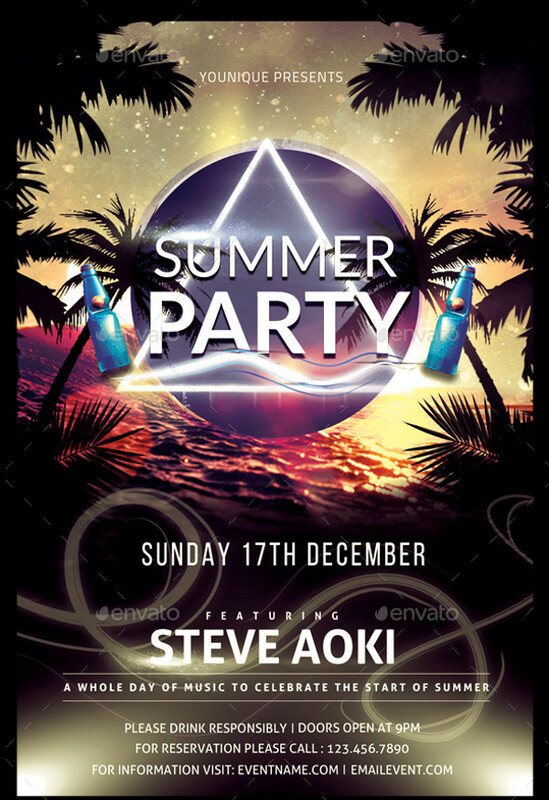 Summer parties and concerts are a fun way for people to have a good time under the sun. 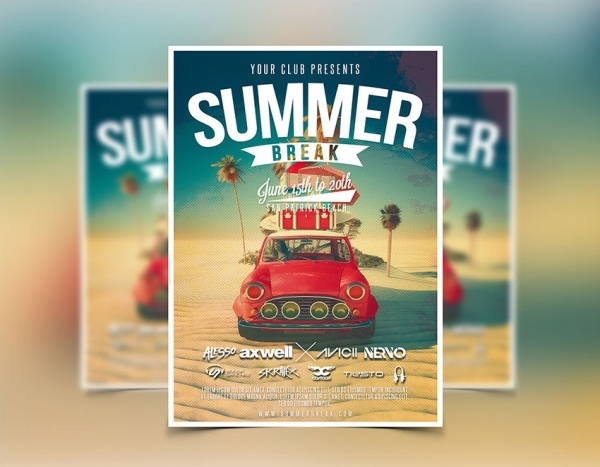 In most neighborhoods and cities, summertime is very busy as there is so much happening all around. 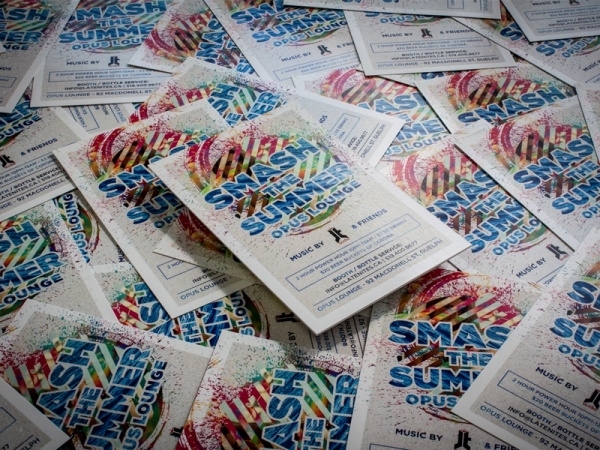 The one way by which word about summer gigs travels fast is through flyer promotions. 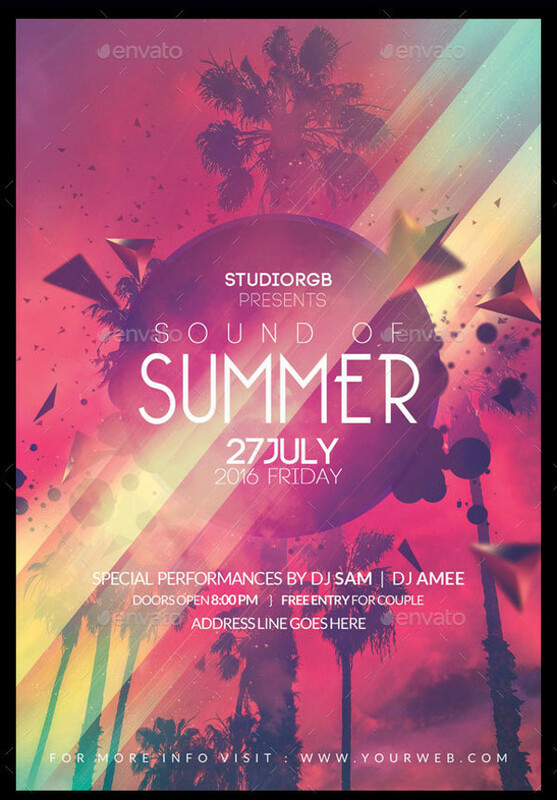 Surely you must have seen summer flyers. 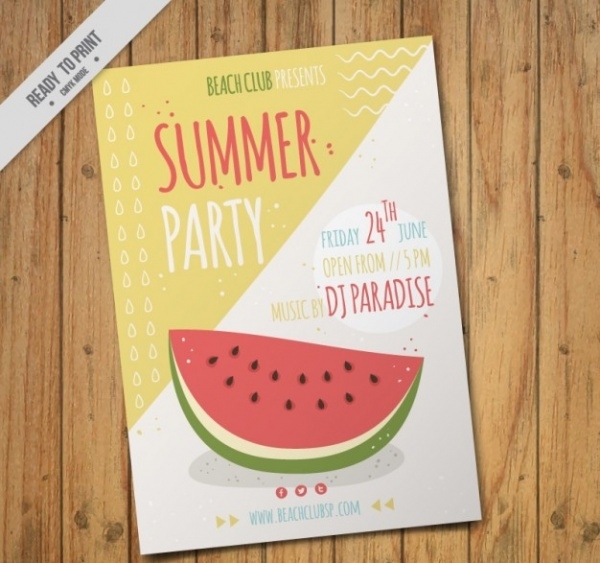 For this post, we have put together a collection of great-looking summer flyer templates which you could be used to design yours.You may also check PSD Party Flyer Designs. 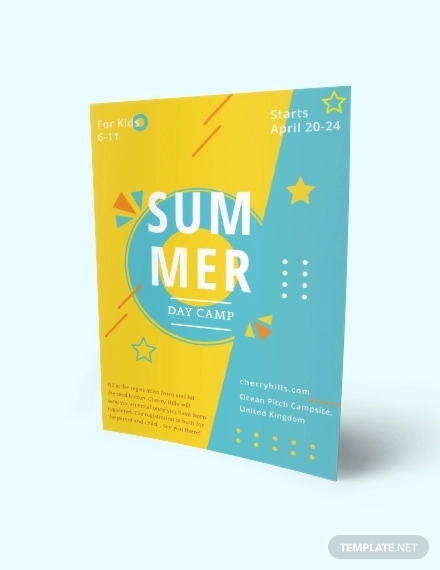 Be it a summer party for families or just adults, or a summer camp just for the kids or youth, this particular summer flyer template has all the things and elements which you’d like on a summer flyer! 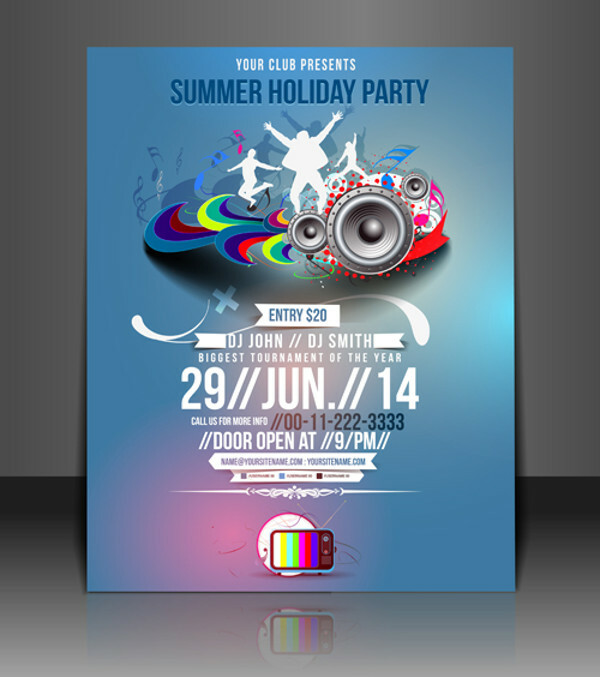 Tell everybody about your summer party event by putting it all in this summer Flyer Mockups. 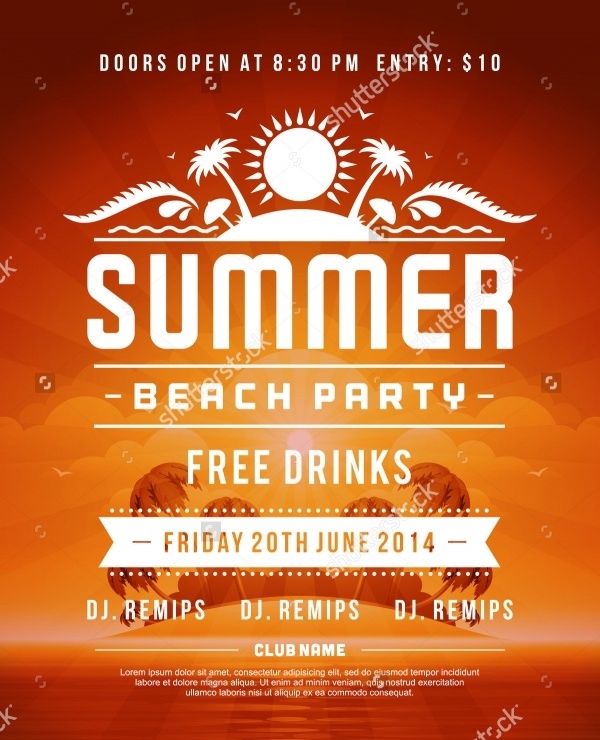 It’s made up with summer colors and you will have no problem with customizing its aspects. 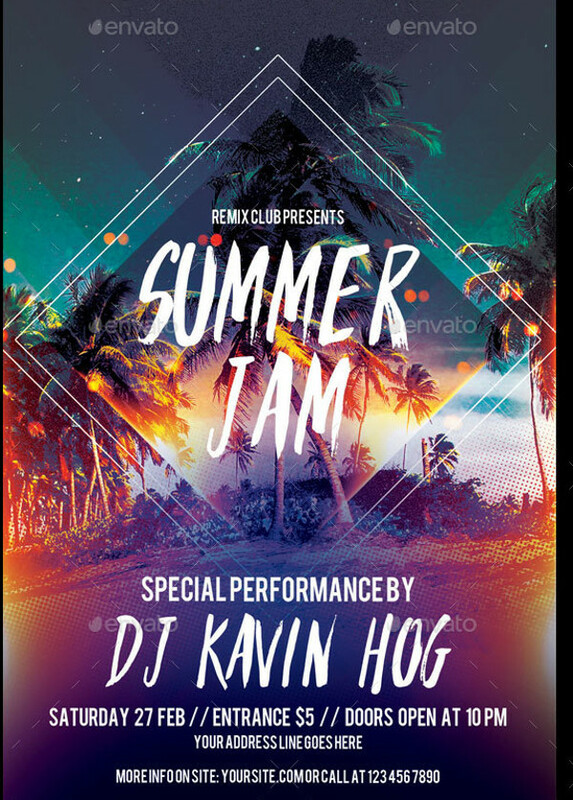 This specimen is specially designed to make summer concert flyers. 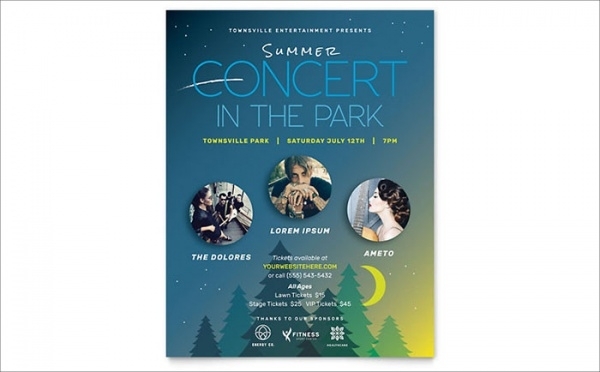 Needless to say, it’s got all the elements which you would want in a summer concert flyer. 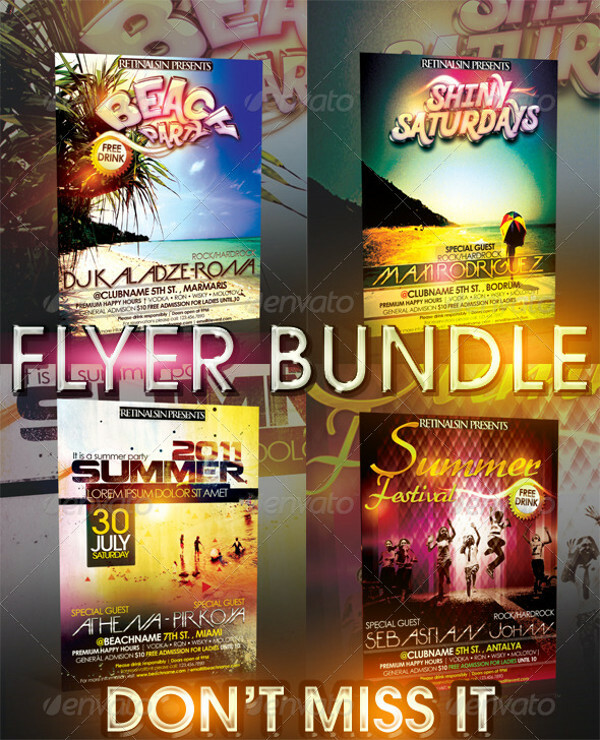 Again, you’re free to edit and customize.You may also see Retro Flyers. 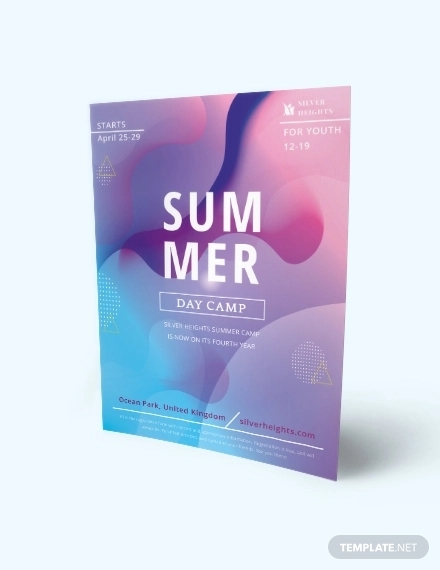 If you’re organizing a performance, gig, singing, opera, or anything of such kind, you may want to take a look at this summer flyer sample. It’s simple, elegant and very subtle. With features like that, customizing it to your needs shouldn’t take much time. 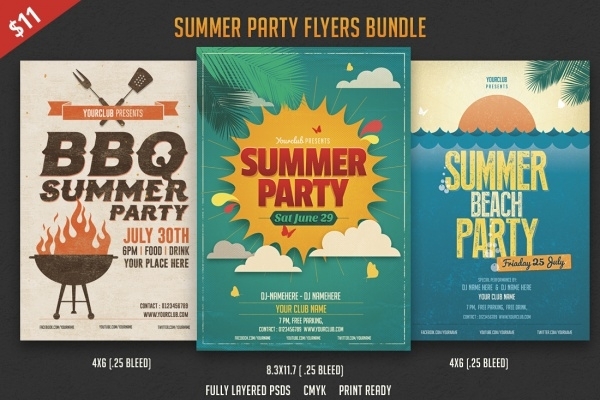 This summer flyer vector is a bundle of three summer flyer templates. Yes, a mini pack you could call it. 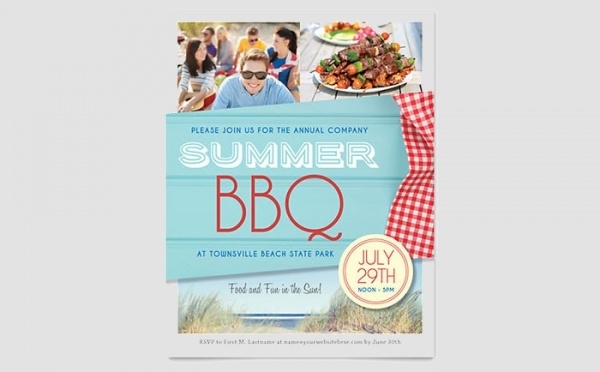 There are two BBQ mockups and one summer beach party flyer template. All the files are fully layered, editable and can be personalized! 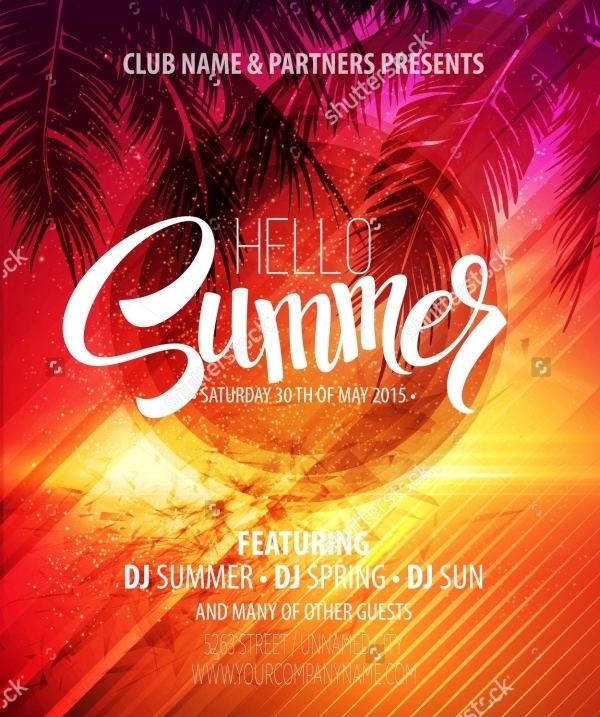 This summer flyer vector would be an ideal choice for representing a club or pub that’s hosting a summer gig for the crowds. 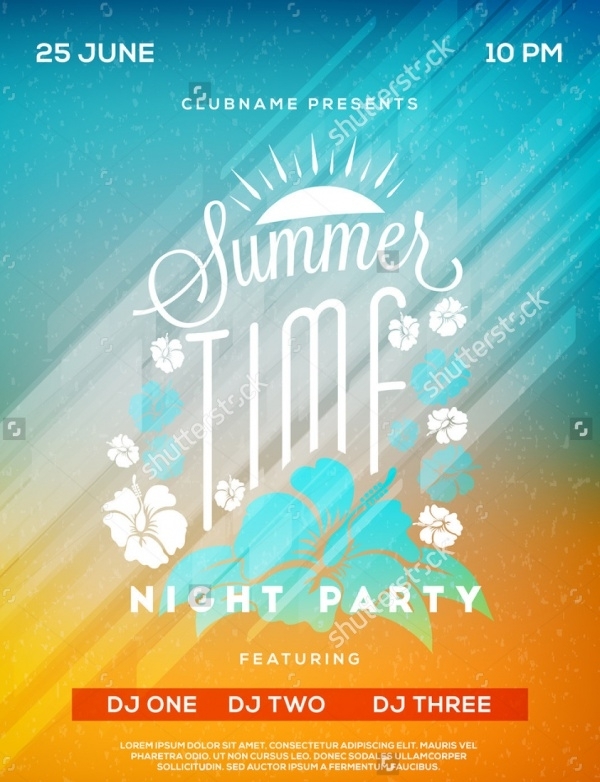 Brimming with summer colors, it would be apt to say that this template is delightful! 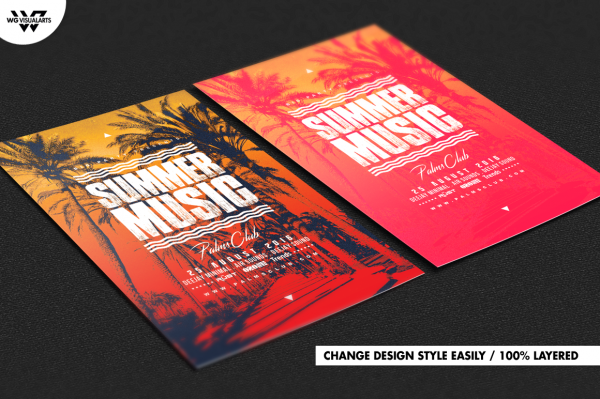 Be it a club party, a beach outing or a summer concert, this summer flyers bundle is loaded with 4 modern-design summer flyer mockups. 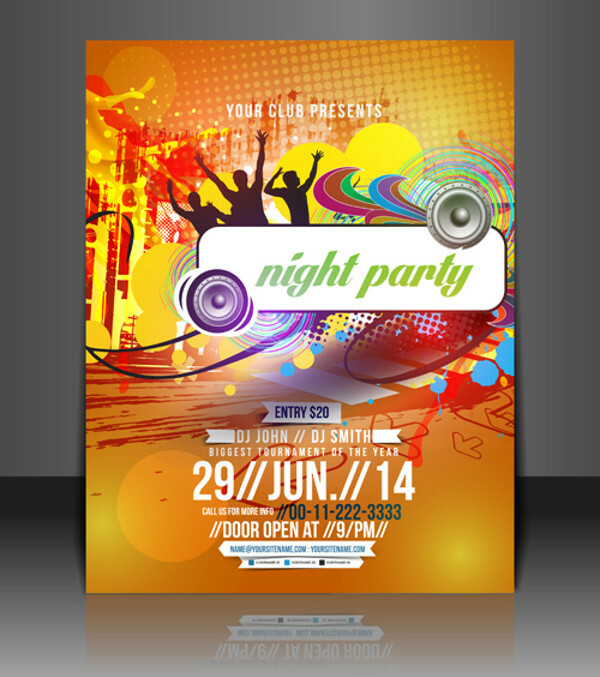 The PSD files come with their own free fonts and colors, which you could revise and improvise in Photoshop if required. 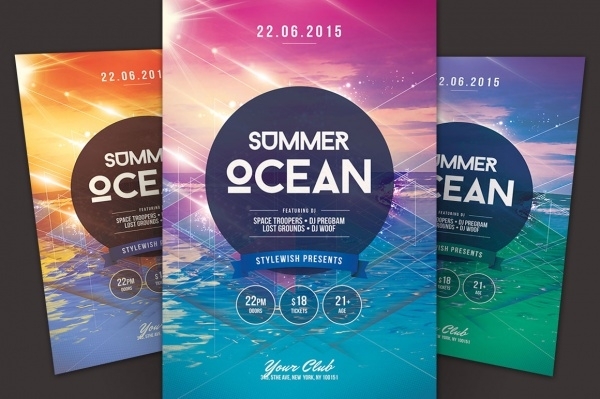 This summer flyer template is packed with 3 fully-layered flyers in a single PSD file which has been segregated very nicely into individual folders and sub-folders. You can change the elements of your choosing in Photoshop easily. Whether it is editing pictures or fixing typos and inserting relevant, everything is easy to do! 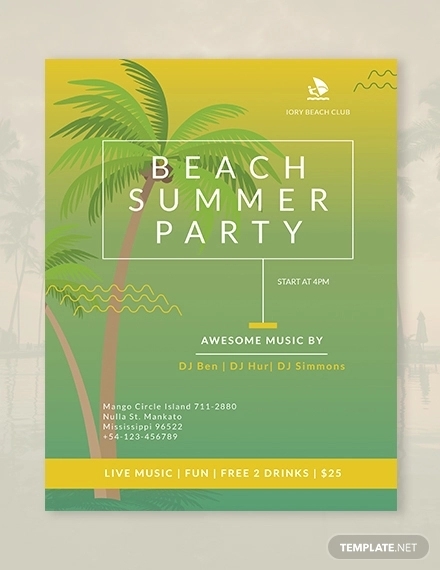 If you would like a vintage design for your event’s summer flyer, here’s a template that you’re going to love, customize and use for sure! 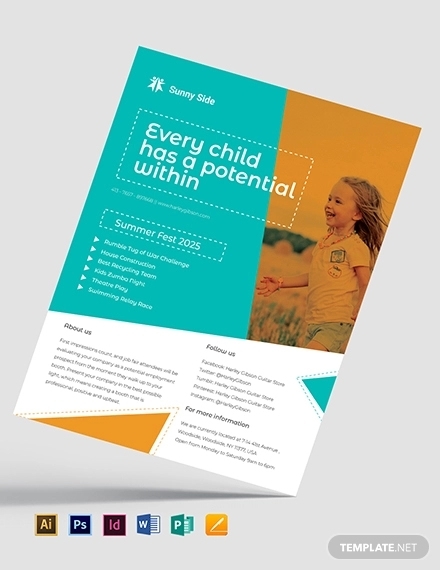 It comes powered with great design and typography elements – and all of them can be customized easily! 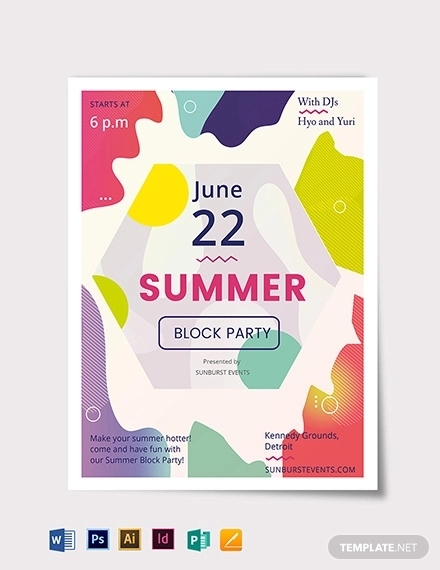 Create a unique and minimal, but nonetheless,very attractive summer flyer for your event with this template! 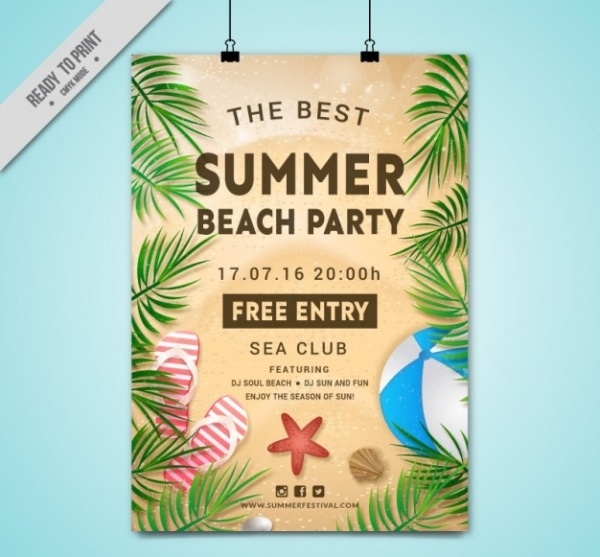 It ticks all the boxes and that’s why it’s a qualifier in this list of awesome summer flyer templates. Did we also say that you can easily edit and customize it? 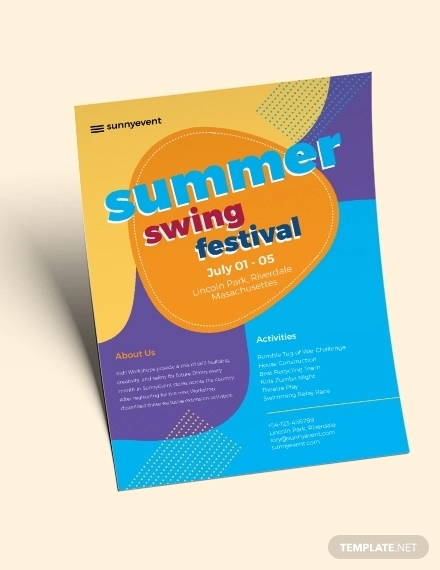 Flyer promotion and publicity for summer events is a common practice everywhere, and that’s exactly why summer flyers are so popular and in-demand. 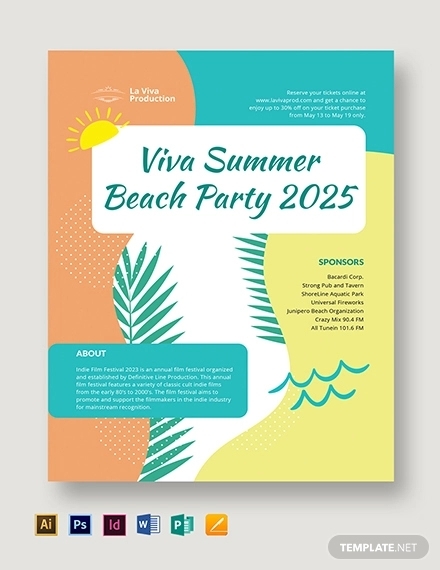 The collection listed on this page must have definitely given you ample ideas which you’d like to try on the templates. 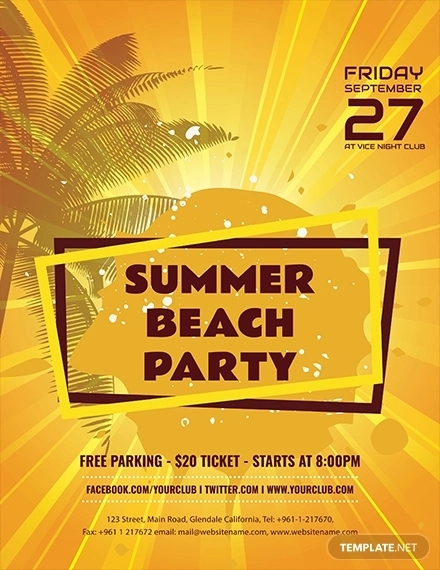 Download, customize, print, use and get the crowds to come in!